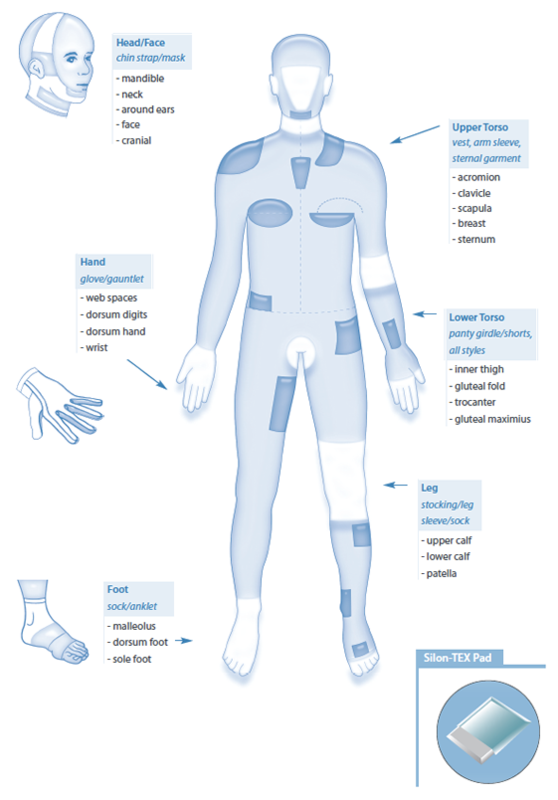 Jobskin Silon-TEX® is a silicone bonded textile with a durable layer of silicone on one side which can be custom formed and sewn directly into Jobskin made to measure garments in specific areas combining Silicone Gel Therapy with Pressure Therapy in one easy step. Hypertrophic and Keloid scars and all general scarring problems as a result of damage to the skin following burns, trauma, post surgical scar complications and other associated problem scars. Is an effective scar management option that conforms especially well to joints and highly mobile areas anywhere on the body where a scar may be present. Customisation allows the silicone gel to stay in place and not be misplaced, making it an economical and effective treatment option for patients.